A FREE call gets all of your public utility lines marked to help protect you from injury and costly property damage. August 11th (8/11) is just a few days away. 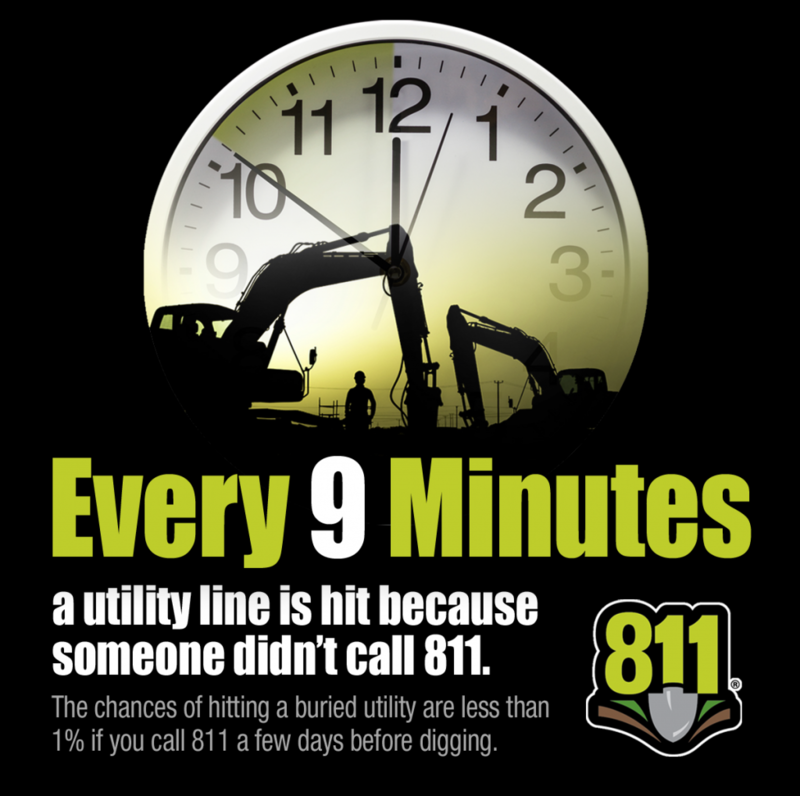 UGI encourages homeowners and contractors to use this date as a reminder to always make the call to 8-1-1 at least three business days in advance of any digging project to have underground utility lines marked. 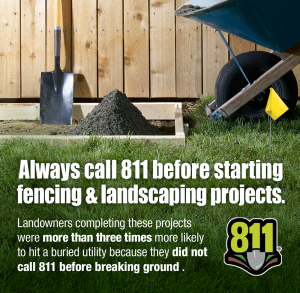 When you call 8-1-1, you’re connected with PA One Call, the Commonwealth’s one call center, which notifies the appropriate utilities of your intent to dig. Professional locators are then sent to your property to mark the approximate locations of underground utility lines with flags, spray paint, or both. It is important to respect the marks indicating the presence of underground utilities. Excavation should be carefully performed only after confirming that all utilities have marked the location of their facilities. 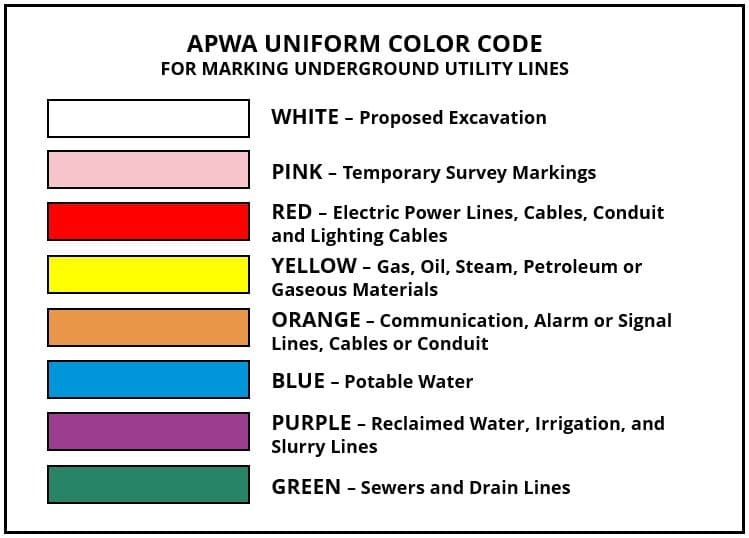 Remember that locating underground utility lines or facilities is not an exact science and location marks have varying degrees of required accuracy. These can range from 18 to 24 inches from the actual line or facility. For more information about safe digging around or near your utility lines, visit us online at www.ugi.com/811.